Nissan has launched a special campaign in Japan called #KnockKnockCats to prevent cats from getting hurt as they tend to hid under bonnets in the winter season. 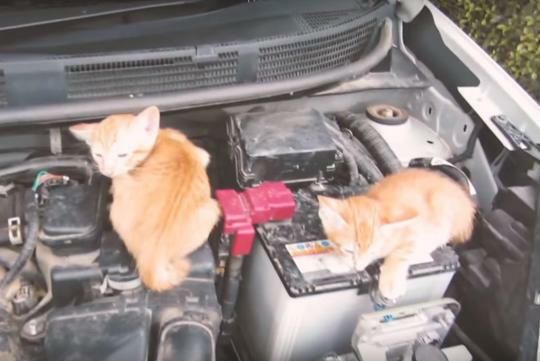 The commercial stresses the importance of knocking on a car's hood and listening for cat's meowing sounds before you drive off, especially during the cold season. While the campaign isn't really relevant to us, there are still stories of cats hurt locally as they hid under the tyres to keep themselves warm and dry. Also, who doesn't love a video full of cute cats?